There’s a spooky new soda in the city… Halloween Crush: Eerie Orange! Check out that vicious vampire and that happening haunted house. And Pringles is getting in on the frightful fun! Check out this box of Pringles Singles complete with tombstones. With 24 single-serving sized containers in each box, these would be great for Trick or Treaters. 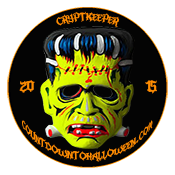 Soda companies and Halloween go back a long way… 7-Eleven Halloween cups, Gas Station Monster Glasses, Pepsi Universal Monsters… In recent years, pop makers have found a new niche in the Halloween market – the mini soda can. And while they have been producing a variety of cool designs for Trick-or-Treaters for the past few years, we felt that this year’s designs rocked the haunted house. This year, Dracula, Frankenstein, and the Werewolf are the stars of the 7 Up (Dr. Pepper) Company’s Halloween Cans. 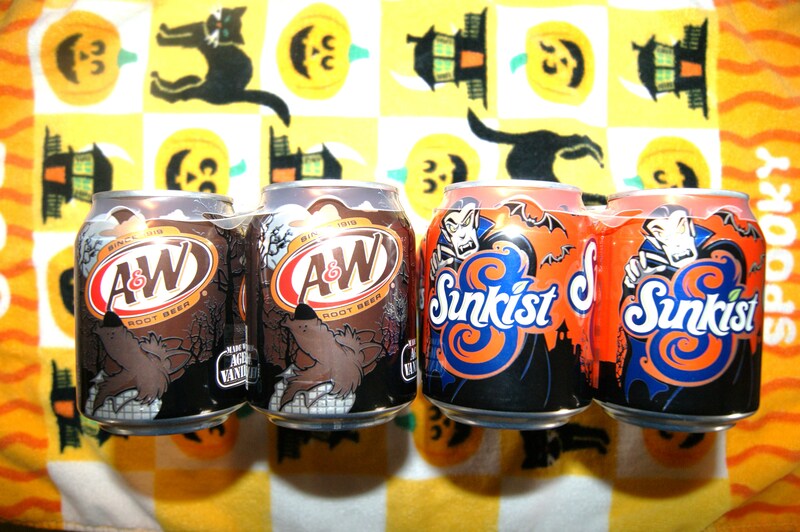 Frankenstein adorns the green 7 Up cans, while Dracula makes a splash on the Sunkist cans, and the Werewolf is having a howling-good time on the A&W Root Beer cans. So whether you hand out these mini-sodas to Treaters, serve them up at parties, or indulge in their spooky goodness all by yourself, you may want to take a look at the spooktacular designs this year. We found these ones at Target. What other Halloween treats have you stumbled upon this year?